Everything The O.C. 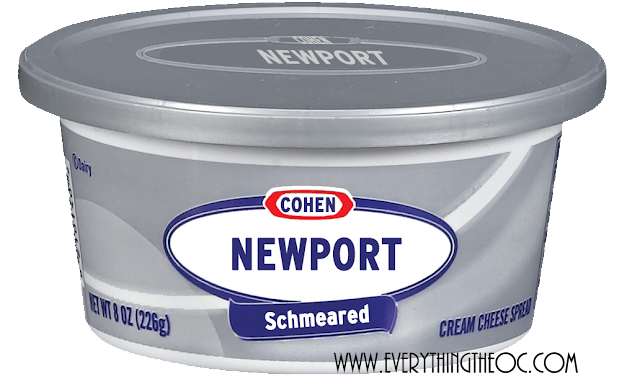 : Just for fun: Newport Schmeared Cream Cheese by Cohen, You'd buy it! Just for fun: Newport Schmeared Cream Cheese by Cohen, You'd buy it! Mmmm...you know you want some! 8 ounces of pure love! Presenting to you, Sandy Cohen's finest creation, Newport Schmeared Cream Cheese by Cohen. After moving to their old house in Berkeley and having a baby Sandy had a lot of free time at the house. He was no longer mentoring brooding teens on the daily and was taking a break from the PD office. Then it came to him one morning while schmearing some cream cheese on his favorite poppy seed bagel. He immediately called Jimmy Cooper up, "Lets start a new venture, a cream cheese company!". And the rest is history!